In the meantime, there appears to be an increasing effort to create chaos, which is being directed by a higher intelligence source. As a veteran journalist, who has seen Dictators allow Communism to control them, I feel a sense of Deja Vu all over again. I have also traveled to many Latin American countries to produce news for major international media organizations and this is what I see. ‪In order to increase the number of asylum seekers and Central American refugees escaping violence and economic instability, all @POTUS @realDonaldTrump really had to really do was cut off the final financial lifeline of these poor nations who were desperately relying on it. Is this another sinister plot to destabilize or destroy this great nation, and to drum up support for making more money off a wall? Diversity is far from being a threat to #USA it is actually adding to our national strength. Trump's move to cut aid to Central America to curb gang violence that forces poor people to flee is not only short-sighted but also heartless. American has been built on limitless diversity and expansion. Why has Trump, whose both parents came here from other countries is bringing it to a halt? 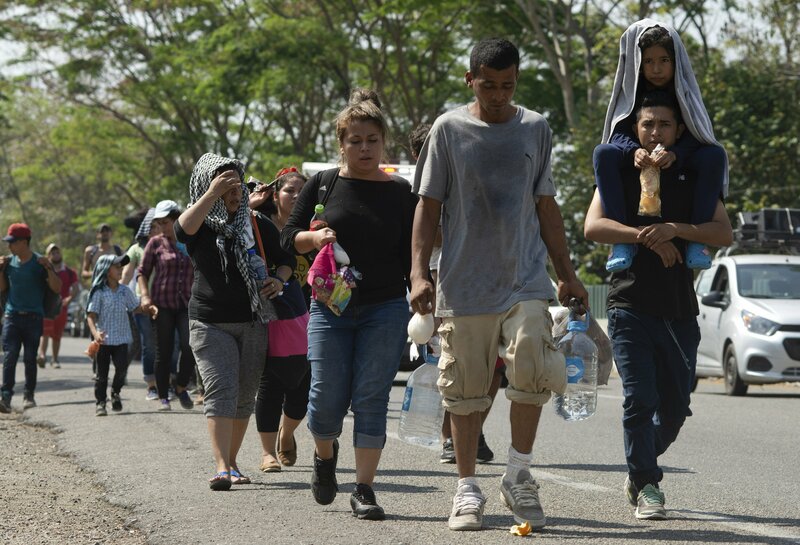 US halting aid to El Salvador, Guatemala and HondurasThe United States will no longer provide foreign assistance to El Salvador, Guatemala and Honduras.